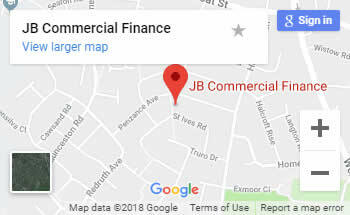 With over a decade of direct involvement in the commercial finance sector, JB Commercial Finance is well equipped to help your business grow, using the most suitable financial solution. Working alongside a network of trusted partners, we always aim to find the best outcome for you and your business. Looking to develop a property or business? Whether you are investing, have cash flow challenges, or you are looking to acquire commercial premises or a property development, please contact us for expert and honest advice. We are an independent, whole of market commercial finance broker, based in Leicestershire with nationwide coverage. JB Commercial Finance is fully authorised and regulated by the Financial Conduct Authority, and we are a proud member of the National Association of Commercial Finance Brokers. This means you will have full protection and insurance when you take on a business loan. For a free, no obligation assessment of your needs, please complete the enquiry form below, or call JB Commercial Finance today on 0116 344 0322 or 0772 243 2128. Call us today on 0116 344 0322 or 0772 243 2128 for a free initial assessment of your needs, we will be happy to help.